Seeing spray vaccination in a whole new light. Spray-Vac® Spectrum aids in the administration of sprayed vaccines for poultry. It is especially designed to prolong the viability and improve the effectiveness of reconstituted and diluted spray vaccines. 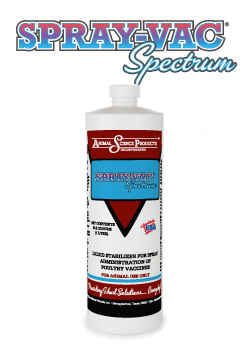 For more information on Spray-Vac Spectrum, download the spec sheet by clicking the link in the left column of this page. 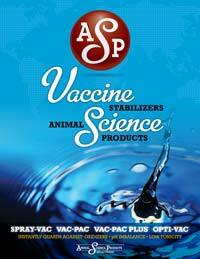 You can also download the full ASP Family of Vaccine Stabilizers brochure by clicking on the icon to the left.